Are you looking for genuine Chevrolet auto parts in Bridgman near Southwest Michigan? 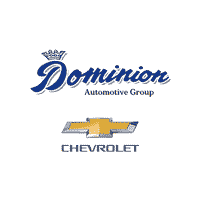 Then Dominion Chevrolet is the right place for you. Whether you need to change the battery or want new brake discs, we’re a one-stop-shop for all your vehicle needs. Come down to our Chevrolet auto part center in Bridgman near Benton Harbor and Southwest Michigan to put an end to your component related concerns. We maintain a huge variety of auto parts for you to choose from. In addition to being your leading Bridgman Chevrolet parts department, a Benton Harbor source, we also take pride in taking complete care of your automobiles. You can trust us with your favorite vehicle! When it comes to reliable Chevrolet auto parts in Bridgman and Southwest Michigan, we’re known as the most preferred and trusted dealership. Call us today on (269) 465-3344 if you have any questions.